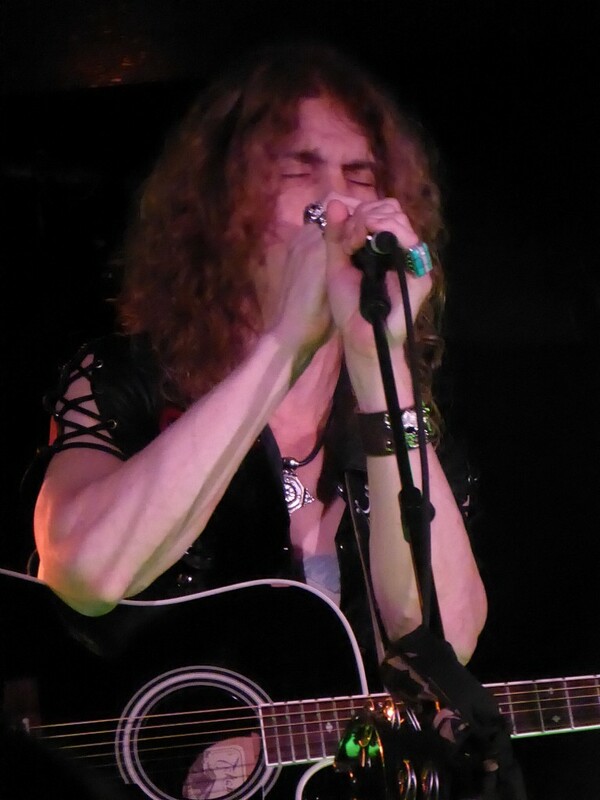 Share the post "Gig review: BURNING RAIN – Camden Underworld, London, 6 April 2019"
And now for something slightly different. While many of their contemporaries seem to constantly tour, Burning Rain have a rather chequered career with a low profile in the UK. 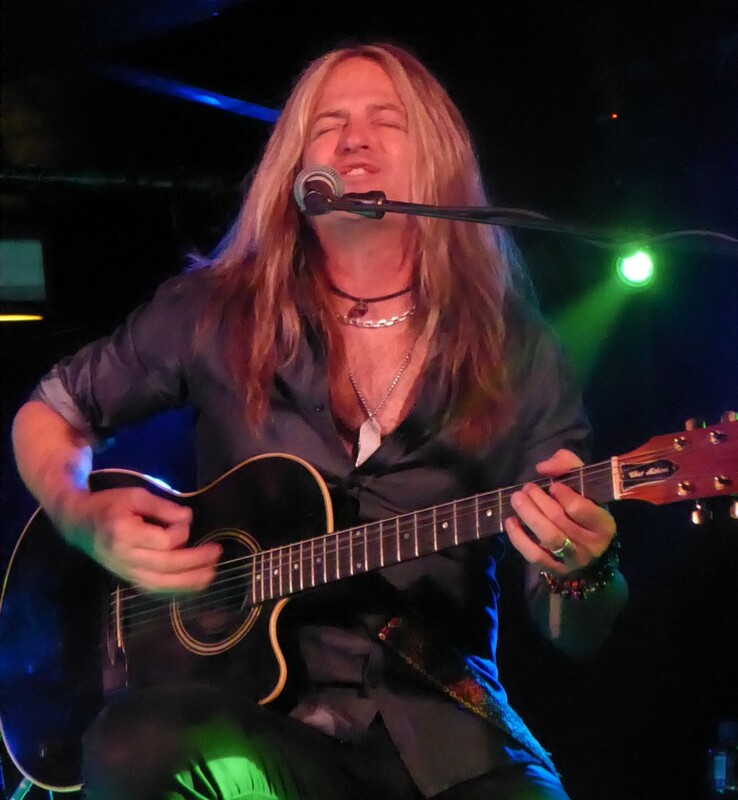 They have only released four albums over a 20 year period, not least thanks to guitarist Doug Aldrich finding fame with larger bands in the meantime. But to mark the release of new album ‘Face the Music’, they embarked on a first ever UK tour- though I do remember seeing them way back in 2001 at the former Z Rock festival in Manchester. However it was not the full band on show, just Doug and singer Keith St John and a pair of acoustic guitars, and as a result the tour was billed as ‘stripped and naked’. There was a delicious irony then in the fact that the guitarist, famous for his bare torso during live shows, kept his shirt buttons fastened all night! The crowd was not great, but with nearly everyone tightly wedged between the pillar in the middle of the Underworld floor and the stage, a decent atmosphere was created and they opened with a cover of ‘Jumping Jack Flash’ as their way of paying homage to the British influences on their music. 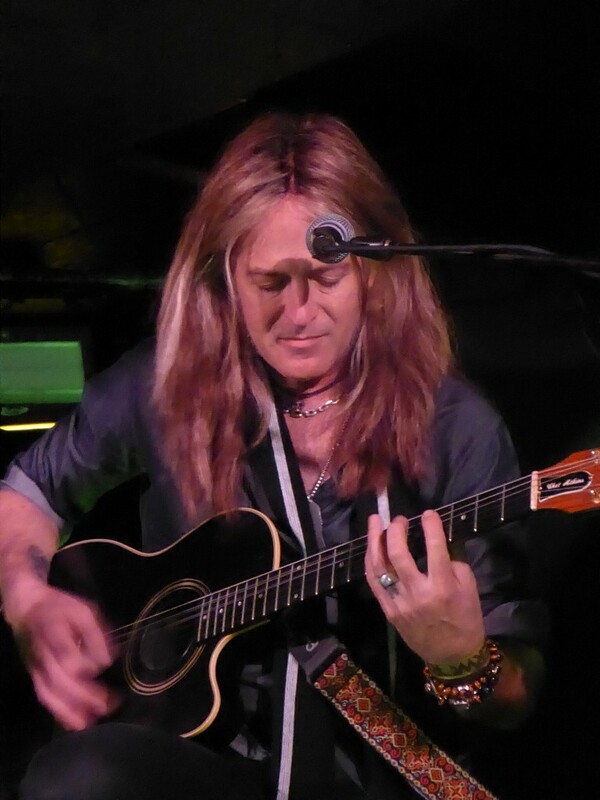 They showcased the new album with songs including ‘Revolution’, ‘Midnight Train’ and, a bit later on, ‘Beautiful Road’, with Doug showing his talent for improvisation, as their usual bluesy hard rock with his aggressive riffs and solos was not immediately an obvious fit with this ‘unplugged’ style. Memories of that first time I saw them came back as they dipped into the back catalogue with the ballad ‘Cherie Don’t Break My Heart Again’, which apparently was a radio hit in parts of mainland Europe, and the sleazy ‘Smooth Locomotion’. The pair also had a relaxed and engaging stage presence, ensuring it was a light-hearted evening with Doug the drier, laid-back foil to the more extrovert and talkative Keith. 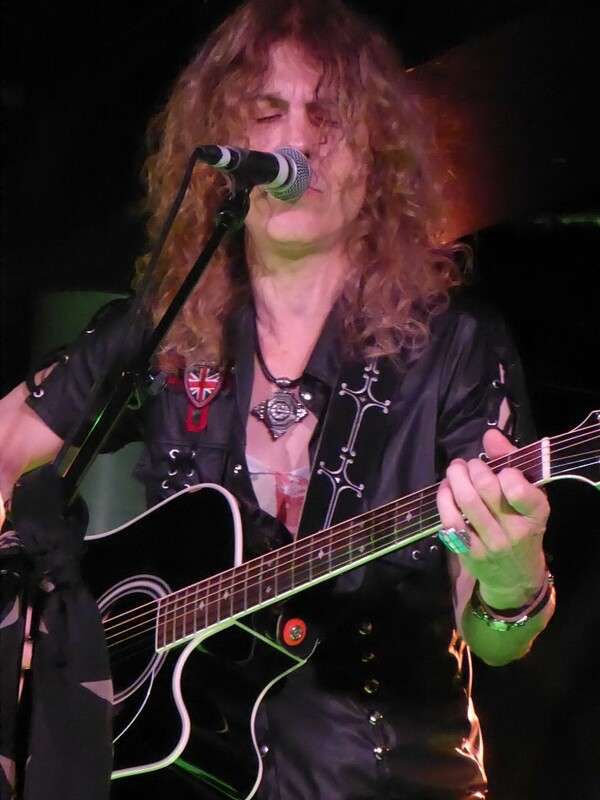 With the latter, Robert Plant comparisons are an easy one to make, not least with his cascade of long curls, but a more accurate one would be with the cool, bluesy sounds of other Zeppelin-influenced singers, notably Jack Russell of Great White. The lengthy ‘Our Time Is Gonna Come’ suited the format better as did ‘Heaven Gets Me By’ which was originally written in a more acoustic style, while the melodic feel of ‘If It’s Love’ was a particular highlight. With a medley of ‘Purple Haze’ and ‘All Along The Watchtower’ as well as an unnecessary second Stones cover in ‘You Can’t Always Get What You Want’, I sensed I wasn’t the only one itching for some songs from Doug’s past instead. Thankfully they obliged late set, as the audience carried nearly all of what was a spontaneous version of ‘Crying In The Rain’ before a more polished version of the epic ‘Forevermore’, the title track from the second and last of Doug’s studio efforts with Whitesnake. They closed with the title track of their current opus which had an anthemic feel even in this format, but with the chat and banter they went over a looming curfew after playing for an hour and 40 minutes. That also meant they were evicted from the venue by security midway through a post show meet and greet, but undaunted they reconvened standing outside the Underworld with fans crowding around them in what I joked was a minor version of Beatlemania. 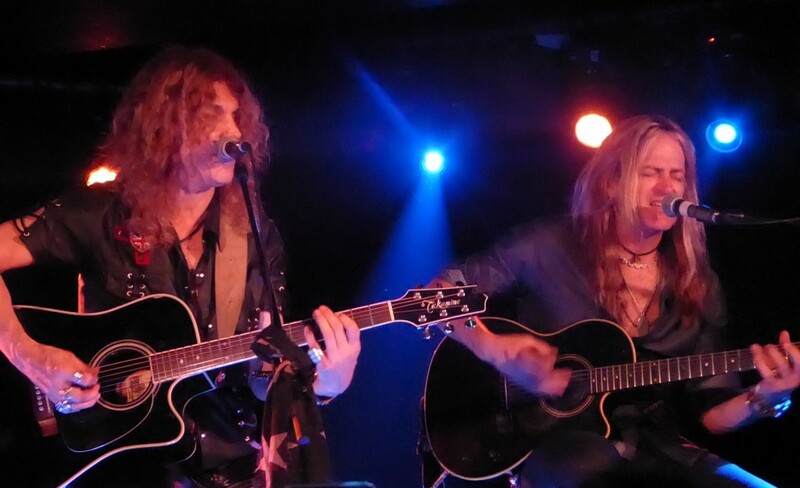 It was that kind of a heartwarming evening and, while it may be hard with their other commitments – Doug with the Dead Daisies and Keith fronting a new line up of Kingdom Come – I hope it provides a springboard for the full band to become touring regulars. 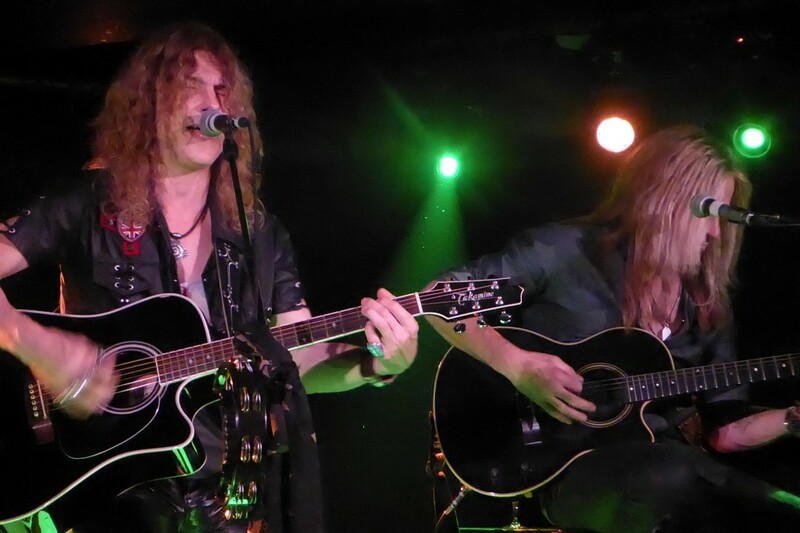 This entry was posted in All Posts, GIG REVIEWS and tagged 6 April 2019, acoustic, Burning Rain, Camden Underworld, Dead daisies, Doug Aldrich, gig, Keith St John, melodic rock, review, Whitesnake. Bookmark the permalink.